EDC stands for everyday carry. These are the items or tools you carry every day that are essential in helping deal with anything life throws at you. Your everyday carry (EDC) tools are what you carry every day. Some only carry a few things in their pockets, while others carry quite a few tools in their backpack or bag. 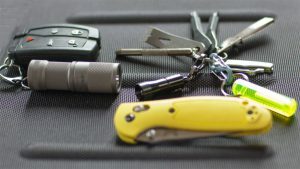 People consider their keys, wallet and cellphone as EDC gear but usually, when referring to EDC, people mean their concealed carry gun, pocket knife and other self-defense and survival items. Often, you’ll find many carry a tactical pen, a flashlight and a lighter or fire starter. Everyday carry gear is defined by its ease of carrying, so most EDC items are lightweight, compact and thin. We’ll cover everything from the minimalist EDC gear to the full-blown prepared-for-anything carrier! Some EDC tools you’ll use every day, some are there just in case. Everything on our list is tested and retails for less than $50. Many consider a firearm an essential EDC item. Though you can’t put a price on you and your loved ones’ lives, your wallet and bank account beg to differ. Providing a warm place to rest and food for your family comes first; however, you don’t have to sacrifice your safety and the protection of your kids and spouse just because you can’t afford the highest of high-end gear. There is plenty of cost-conscience, decent gear out there that you can depend on. Yes, a William Henry pocket knife would be cherished forever by multiple generations but no-name brand cheapies work, too. Remember Aron Ralston who chopped off his own arm with a knock-off multi-tool to save his own life? As an avid outdoorswoman who loves to camp, cabin, shoot and be on the river as much as possible, I don’t have a ton of money to spend on exclusive gear; however, my gear still needs to be dependable and last more than one season. After all, most outdoor gear, especially the gear we carry every day, must work when called upon. 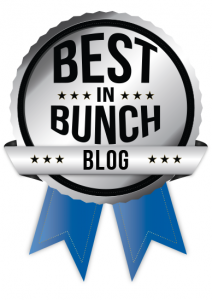 The following budget EDC gear list is the Best In Bunch crew’s favorites. There are many reasons why people choose alternative and non-lethal self-defense weapons. Laws/legalities, political views and various life situations determine what type of defense weapons we decide to carry. Is part of your EDC self-defense? Many carry a stun gun or taser. For example, when having drinks, I leave my concealed carry gun at home and carry pepper spray and a knife. Traveling is another reason why you would forgo one weapon for another. Some are just as devoted to self-defense as I am but are against carrying a firearm. Whichever method you choose, it is important to be trained and skilled at using it. Where you live, your situation, workplace and where you frequent and travel to every day will determine what type of self-defense tool you carry as well as how you carry it. There are many laws that define what type of weapon you can carry and where you can carry it. Even here in Texas, we can’t even take a multi-tool or typical pocket knife with a blade longer than 5.5 inches into a school, church, sporting event, hospital, amusement park or courthouse. Self-defense tools can be as obvious as a firearm or as discreet as pepper spray concealed as a lipstick. There are many different ways people can defend themselves. The most popular methods besides firearms are knives, stun guns or tasers, pepper spray and tactical pens. Obviously, these tools vary in lethality. A knife is easily lethal, while something like a monkey fist or a lead-filled hat or gloves is less lethal. Of course, depending on circumstances, anything can be lethal. Some of our favorite non-lethal self-defense tools include keychains and jewelry with sharp points for jabbing, lead slaps, pepper spray, kubotans and tactical pens. I prefer—and many self-defense experts agree with me—pepper spray over a stun gun. Can the right voltage of electricity put an attacker down? Absolutely, but your attacker must be close enough for you to touch the prongs to their body. That is incredibly too close for comfort. With pepper spray, though not as powerful a knock-down weapon as a taser, you can keep plenty of space between you and the threat. Coming in all shapes, sizes and potencies, a compact pepper spray unit fits in all sizes of bags, your pocket and on your key ring. 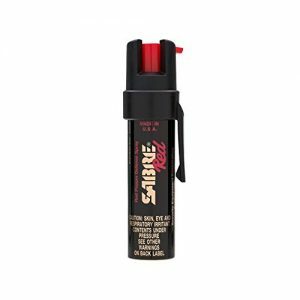 This particular unit from Sabre is legal everywhere, includes 35 sprays with a 10-foot spray range, a 4-year shelf life and a twist lock trigger protecting against accidental discharge. The design of all Sabre pepper sprays prevent blowback and includes a UV marking dye, so the bad guy is less likely to get away. This tactical pen from legendary firearm manufacturer Smith & Wesson performs double duty. Yes, it writes smoothly and uses refillable ink, but it also has darker side with a self-defense tip on the business end. 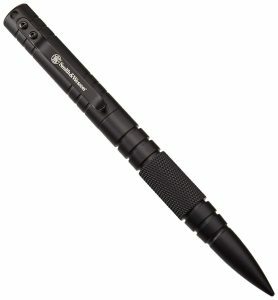 Made of out tough T6061 aircraft-grade aluminum, the M&P tactical pen is a discreet weapon that is completely legal and disguises well while on the job—whether in an office or in the field. Weighing only 1.44 ounces and measuring 6.1 inches long, the S&W M&P tactical pen with pocket clip is everything it advertises it’s going to be. 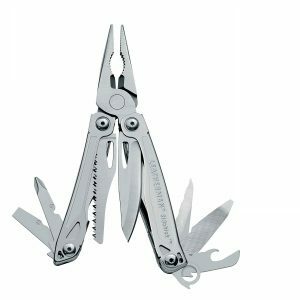 There is no denying that when it comes to multi-tools, Leatherman is at the top of the game. This Sidekick is a solid, classic design with 14 useful tools. 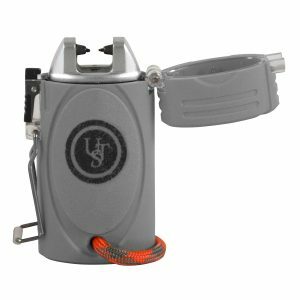 Made of strong stainless steel, the Sidekick includes one-handed opening and spring-action jaws for easy, quick deployment of the 2.6-inch blade and other outside-accessible tools. It includes wood/metal file, saw, screwdriver, bottle opener/can opener, wire stripper, hex bit driver, a file, ruler and more. It is 3.8 inches closed and weighs only 7 ounces. Leatherman throws in a 25-year warranty and we promise, unless you lose it, the Leatherman is built to last a lifetime. 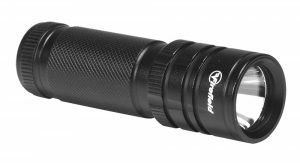 This weapons-mountable tactical mini flashlight has a 180-lumen CREE LED with strobe function. It features an ergonomic push-button on the tail cap and is shockproof and waterproof—rated up to 12-gauge shotgun recoil. It uses a CR123A battery with two-hour constant-on battery life. It is super compact at 3.22 inches long, 0.89-inch in diameter and weighs only 2.2 ounces. Gerber is a reputable company making quality products. 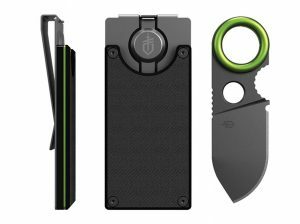 The GDC money clip has an integrated, hidden 1.75-inch fixed blade knife. It holds cash and up to five cards. The stainless-steel blade sits discreetly inside a locking shield but is also easy to deploy. To use the knife most effectively, wrap your finger around the finger slot and press your thumb against the serrated thumb rest. This grip gives you the most secure power when using it. Measuring 3.7 inches in length and weighing 2.9 ounces, the slim design of the GDC money clip will fit in your pocket and is made of titanium-coated steel. Made for the outdoor junkie, the Timex Expedition watch features a tough resin case and strap with a scratch-resistant face. 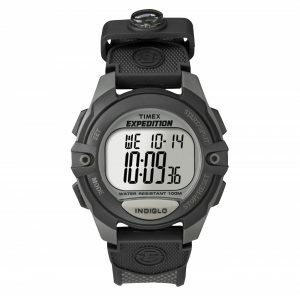 It includes a small compass, Indiglo easy-to-read digital display and chronograph. This outdoors watch shows the day and month and has an alarm feature. It is water-resistant up to 330 feet. It doesn’t need to be the zombie apocalypse for it to be deemed an emergency or survival situation. Car failure or a flat tire after sunset warrants urgency for me—especially during colder months. For these types of emergencies, having a few extra supplies will not only be appreciated for comfort but can actually also save your life. This unique fire starter uses an electric arc to ignite your tinder. It is fuel- and flameless. From Ultimate Survival Technologies, the TekFire is windproof and works in all types of weather. Included is a paracord lanyard and integrated LED flashlight. It is powered by a rechargeable lithium-ion battery. Water, as you know, is life. Without it, we die. 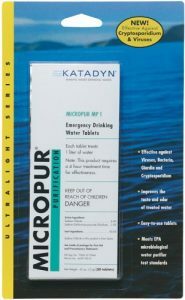 These purification tablets are easier to carry than a personal water filter straw or other types of disinfection/purification. One tablet will make one liter of water safe for drinking. It cleans dirty water of viruses, bacteria, Giardia, and Cryptosporidium. This minimalist first aid kit is going to treat the minor cuts and burns you may experience daily. 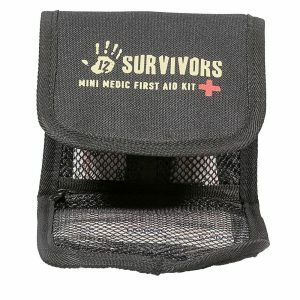 Coming in a trifold nylon pouch, this compact first aid kit still manages to pack in 61 pieces. It includes different sized band-aids, antiseptic and tweezers. As with any first aid kit, it is ideal to add your own necessities, like essential medications and over the counter pain relief. Of course, everyone’s idea of what essential EDC gear is different, yet we all agree that your everyday gear is there to help protect you, get you out of a pickle or face minor emergencies. What do you carry every day? Pocket dump time! Share your EDC with us in the comment section. Next What Clothes Should I Take Camping?